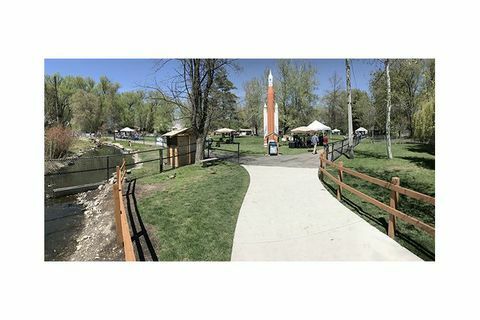 Orbital ATK is sponsoring a unique exhibit with more than 100 pieces of art inspired by NASA's journey to Mars and beyond at Zootah at Willow Creek Park in Logan, Utah, now through July 31. 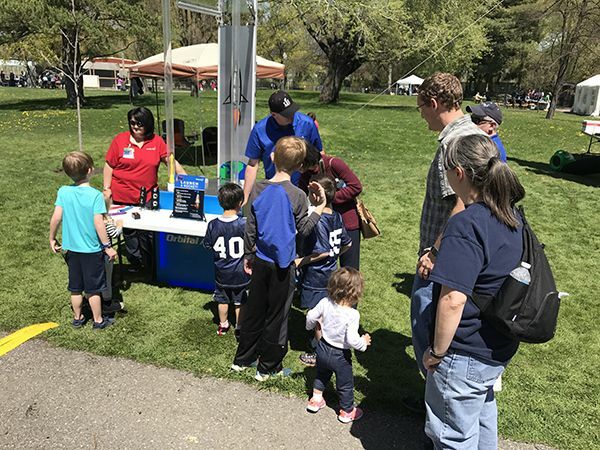 The grand opening, which included hands-on activities in science, technology, engineering, arts and math (STEAM), featured Orbital ATK's compressed air rocket launcher. Hundreds of visitors launched demonstration rockets of different materials, an activity that highlights some of the choices rocket scientists face when designing launch vehicles. 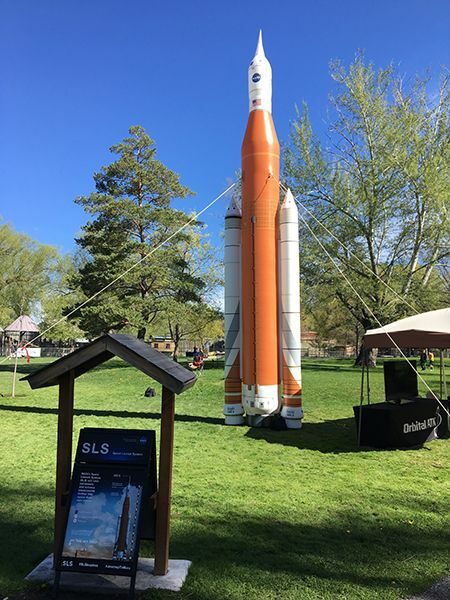 A model of NASA's Space Launch System stands tall at Zootah at Willow Creek Park in Utah. A non-profit organization called the Dream Rocket Project collected the art in the exhibit as part of an effort started in 2009 to gather thousands of original pieces from around the world. 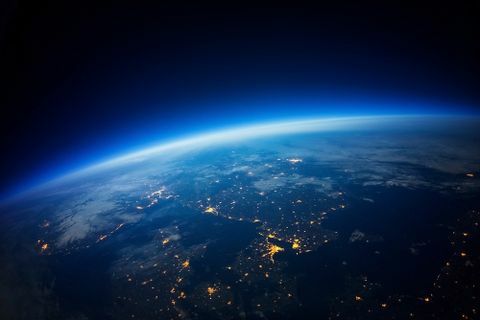 Eventually, all submissions will be connected to wrap the skeleton of a 385-foot-tall Space Launch System rocket replica that will be placed on temporary exhibit at locations around the United States. 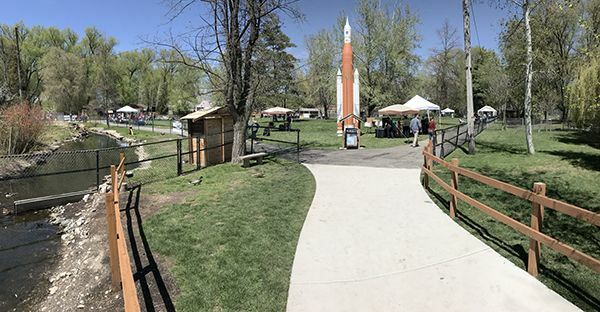 Charlie Precourt, Vice President and General Manager of Orbital ATK's Propulsion Systems Division and former four-time shuttle astronaut, said the company was pleased to sponsor the exhibit. 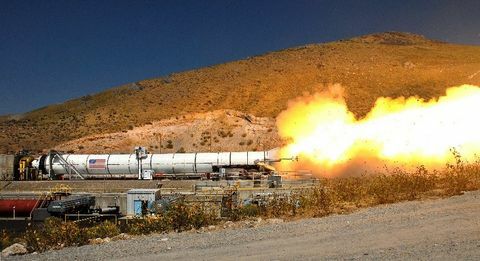 "NASA's Space Launch System will be the most powerful rocket in the world, and its solid rocket boosters are built right here in Northern Utah,” he said. “We appreciate Zootah and the Dream Rocket Project bringing science, technology, engineering and math – the STEM fields – together with art and imagination to celebrate the future of human space flight." Children at Zootah participate in our hands-on exhibit - the Orbital ATK compressed air rocket launcher. 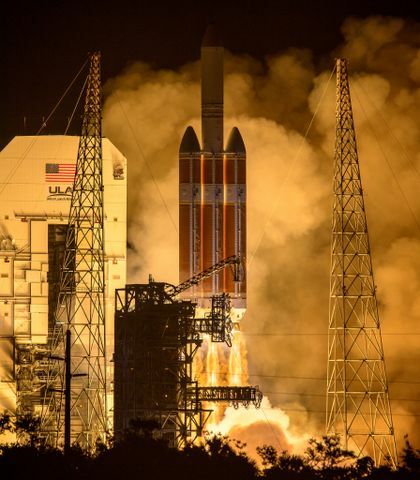 Orbital ATK will provide the two 5-stage solid rocket boosters for NASA's Space Launch System.